Do you want to know how to start a blog that will be just right for you? The first question you might have is, what is the difference between a website and a blog? They are similar because people can visit them on the Internet at any time. They are both often called merely, sites. But a website is sometimes defined now as something that is static and unchanging. A website has a landing page and a menu listing other pages on the site. It is not unusual for a website to consist of only one page that scrolls down to reveal all the information on the site. A blog, however, is always changing, always posting new content and is much more interactive than a website. For instance, blogs can have lots of comments or even a user forum. Blogs, which were originally called weblogs, also have inbuilt tools that can perform actions such as subscriptions, emails and social media sharing. Articles on blogs are also more likely to be indexed by search engines. That is because the content is fresh and has more current value than a static page on a website that could stay unchanged for years. Where and how can I start blogging? If you’re going to set up a blog, it is because you have something of value you want to share with people. There are endless subjects that interest people. Whatever blog topic you choose to write about, there will be readers for you. Some popular ideas include cooking, gardening, writing, book reviews, finance, motherhood, grammar, celebrities and genealogy to name a few. The best advice is to choose a topic that you are passionate about and possess a depth of knowledge. Being enthusiastic about sharing your knowledge and skills is the cornerstone of great blogging. The best blog sites are almost always written by people who are motivated and keen to help their readers. Write great blog posts and people will read them. Another reason people want to start blogging is to make money. Is it possible to monetize your blog? Yes, without a doubt. But before you start, if you are new to blogging, it is best to walk before you run. There is a lot to learn before you can make money from your blog. Three platforms stand out from all the rest in popularity, practicality and performance. If your question is, how to start a blog for free that is simple and easy to use, Blogger is for you. Ideal for a personal blog. There is a free version and a paid version. You will need some basic computer and technical skills. If you are starting your first blog I would highly recommend starting with the free version. The paid version, however, has more options and is well suited to a personal or small business blog. The most popular blogging platform runs on open source software. You will need to choose a domain name and select a hosting account. You will also need good technical skills. Suited to experienced bloggers, online magazines and content marketers. Don’t worry; you can always change your blogging platform as you grow. It is quite easy to export all your blog posts from Blogger to WordPress, and from WordPress to WordPress self-hosted. Decide which one is best for you, and then start blogging. Without a doubt, Blogger is the most popular blogging platform for new bloggers. You won’t need to start on a long learning curve. Blogger is easy to set up and to create a blog. 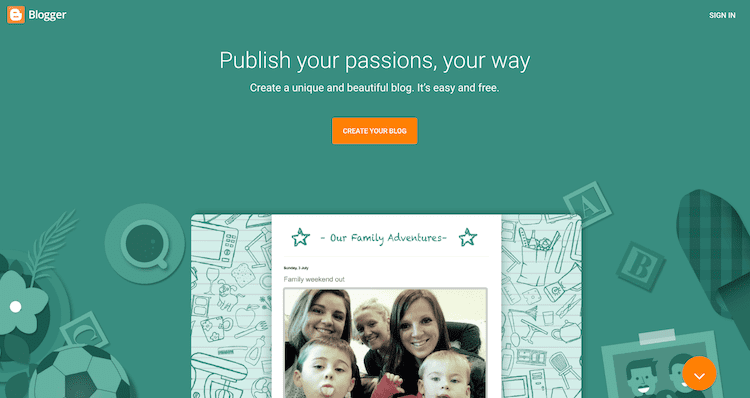 On the Blogger welcome screen, click “Create Your Blog”. You will be asked to log into your Google account with your email address, and you can get started. Follow the step by step guide, and you will begin by setting your free domain name. Then you can select from the free themes available to make your blog look just how you want. You can tweak your theme to personalise it even more. Now you are ready to write your first blog post and hit the publish button. Once you do that, you’re a blogger! One little bonus with Blogger is that because Google owns it, it allows you to add Adesnse. It is Google’s online advertising system. You won’t make a fortune, but a few extra pennies or dollars each month might be a nice little reward for you. WordPress.com is also an excellent choice for new bloggers. 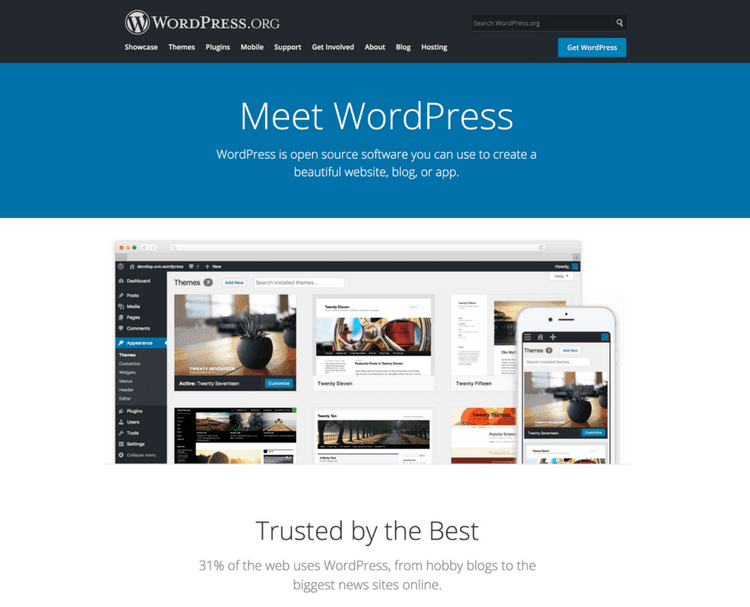 WordPress is used by nearly one-third of sites on the Internet, and for a good reason. It is so flexible because it can be modified to suit any style or design taste plus comes with bundles of functionality. The free version is a perfect start if you are new to blogging and have a few basic computer skills. 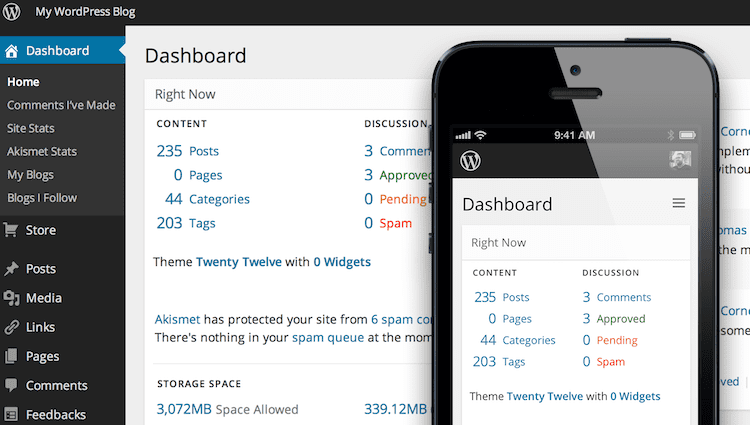 If it is your first step into blogging, it is a great way to become familiar with using the WordPress Dashboard. Because the dashboard is the same on all three versions of WordPress, you will find it very easy if or when you upgrade. There is also a paid premium version of WordPress. It is advertising free and offers you much more functionality, a host of plugins, more storage space, and you’ll be able to choose your own custom domain name. Monthly subscription charges are between $5 and $25 depending on which level you choose. Your own WordPress self-hosted site is where true professional blogging happens. It can be a bit confusing. What is the difference between WordPress premium and WordPress self-hosted? For hosted WordPress blogs you need to use your own hosting service. Finding a high-speed web host is quite easy, and the annual cost of a hosting account can be as little as $120.00. There are many good WordPress blog hosts around, so compare them to see which one is right for you. The annual price of the WordPress business premium service is $300.00. So self-hosted can be more economical, as well as having the huge advantage of it being totally under your control. It is a little bit more hard work to set up rather than relying on the WordPress easy premium option. But in the end, you will have much more control, fewer restrictions and many more functional options at your disposal. Once you’ve read a little, learned a little and gained some confidence in using your self-hosted site, you will never look back. If you don’t have a lot of time to devote to blogging, but you want to write a post or two a month, Blogger is easily your best choice. However, if you can spare a few hours along the way, learning how to use WordPress will be a big asset to your future blogging. Start with the free version and settle in. If you want to take the next step, it is quick and easy to upgrade to a premium level. On the other hand, if your goal is to make money from blogging, a self-hosted WordPress site is a must. It is the only way you will ever get enough organic traffic to make it a viable venture.